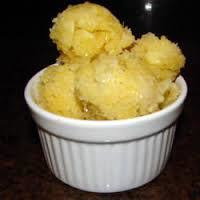 Has 14 recipes, 10 public recipes. Louiesquared supports All The Flavors. Upgrade yourself. This is a very simple Blueberry Custard recipe. Vanilla Custard V2 (CAP) provides the base for a good custard but lacks a bit of depth. By itself it is a good custard with some nice egg notes. The addition of New York Cheesecake V2 (CAP) and Bavarian Cream (FA) combine to add a richness and thick mouth feel that really brings the custard together. 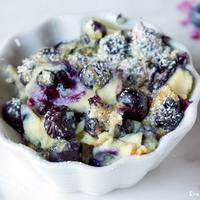 Blueberry Candy (TPA) mixed with Blueberry Extra (TPA) and Forest Mix (FA) combine to make a sweet blueberry compote that has been loosely stirred into the vanilla custard. This recipe tastes very good right after a good shake but it has a little bit of harshness. Give it a couple weeks and it is much smoother. After four weeks it is a very nice blueberry vanilla custard that will continue to develop over the next few weeks, if it lasts that long. 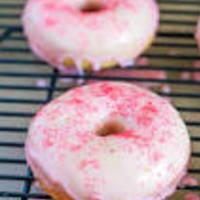 This is a classic Cake Donut with Strawberry Frosting. You know, Homer Simpson's favorite treat. Capella's Glazed Doughnut provides the foundation of this classic donut with a sweet doughy flavor. Jungle Flavors Yellow Cake adds the density that changes it from a light and fluffy glazed donut into a dense cake like donut. Flavor Art JOY brings it all together by adding that fried dough flavor with a little extra sweetness. A mix of Capella's Sweet Strawberry and Butter Cream plus Flavor Apprentice's Sweet Cream blend together perfectly to make that almost candy like frosting. All that's missing is a nice hot cup of coffee to dunk in. This is a very simple Aplle Pie recipe. Apple Pie (FA) provides the base for a good apple pie but lacks a bit in the apple filling. 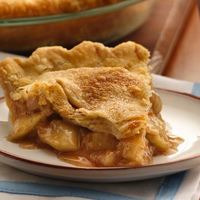 By itself it is a slightly sweet pie crust with a hint of apples and cinnamon. The Butter Cream (CAP) adds a richness to the flavor of the crust. Fuji Apple (FA) mixed with Brown Sugar (TFA) and Liquid Amber (FA) enhance the exsiting apples and cinamon to bring the pie filling to the top. This recipe tastes very good right after a good shake but it has a little bit of harshness. Give it a couple days and it is much smoother. After two weeks it is a very nice warm apple pie fresh from the oven. This is a very simple flavor swap that turned out to be my new all day vape. 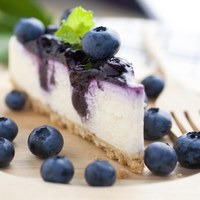 Using TFA Blueberry Extra in place of Strawberry Ripe and TFA Blueberry Candy in place of CAP Sweet Strawberry creates a flavor that tastes like a Blueberry Syrup. I kept them both at the same percentages. The only other substitution is TFA Sweet Cream in place of CAP Sweet Cream. This choice was purely out of convenience as I didnt have the CAP version. I tested the first batch that I made at the following intervals. S&V - Tastes good. Nice and sweet but lacks any real depth. A bit too strong on the Blueberry. 2 Days - About the same but a bit more body from the Cheesecake and the Blueberry is a little better. 7 Days - Starting to get that baked flavor. The Blueberry has calmed down a bit but is still sweet and flavorful. 14 Days - About the same as 7 but a little smoother. 30 Days - OK, I am in love! The flavors have all come together as a real Cheesecake. Amazing! The Blueberry is perfectly sweet but not overpowering. I am very happy with the results. I just opened a bottle that has been steepeng for 8 weeks. I also made a fresh batch 4 weeks ago so that I could compare the two. The difference between them is very subtle. The cheesecake is a tiny bit more pronounced but still not overly cheesy. 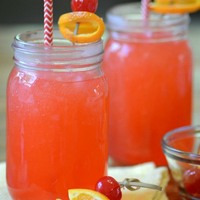 This recipe is a fresh tropical fruit juice that is both sweet and tart. It tastes great as a shake and vape but after about a week it really comes together as more of a singular flavor. 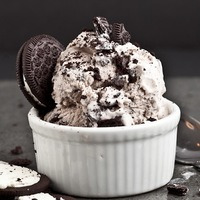 A sweet Cookies and Cream Gelato that produces thick rich clouds of milk chocolate and vannila on the inhale and a slightly bitter dark chocolate on the exhale. Needs at least 3 weeks of steeping for the Cookie to mellow out and the Creamy Gelato to come forward. 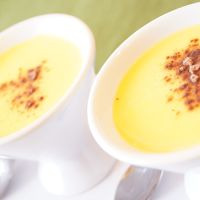 Profile: A thick, sweet and creamy Vanilla Custard that produces dense flavorful clouds. This is my take on Vapetasia's Killer Kustard. The body: The TPA Vanilla Custard and CAP Vanilla Custard v2 are the dominant flavors here with a little added TPA Vanilla Swirl to really maximize Vanilla. The TFA Bavarian Cream was added to simulate the dense creamy mouth feel of a true Custard. Supporting flavors: The combination of CAP New York Cheese Cake v2, CAP Vanilla Cupcake v2 and TFA Sweetener add a layer that resembles a cake batter in taste and texture. It is noticeable on the inhale but much more present on the exhale. 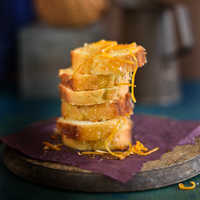 Profile: A sweet, buttery Pound Cake with a slightly tangy citrus flavor. The body: The FW Yellow Cake is the dominant flavor here with a little added CAP Vanilla Cupcake V2 to soften the richness of the Yellow Cake. The TFA Bavarian Cream and CAP New York Cheese Cake V2 were added to simulate the moist dense texture of Pound Cake. Supporting flavors: The combination of TFA Citrus Punch, CAP Sweet Tangerine and TFA Sweetener add a sweet but tangy citrus note that delights the pallete. It is noticeable on the inhale but much more present on the exhale. 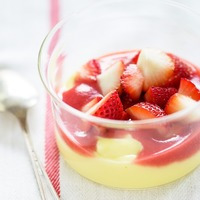 This is a thick, creamy strawberry vanilla custard that produces dense flavorful clouds. It tastes very good after 2 weeks. For a fully developed flavor allow at least 4 weeks of steeping. Very Good. I haven't tasted the original so I can not compare but it tastes like Nestle Quick to me. This is a delicious mix! Even right after mixing it's very good. It gets better with time but make sure you mix at least a 120 or you'll never get to taste it after a full steep.